Last week I got to tick an item off my bucket list, and that was to go to India. I think India is a bit like marmite for some people. It hugely appeals to some, and others it's like, why would you ever? I get it; it's loud, noisy, hectic, and of course there's the dreaded "Delhi Belly"- but all of that (minus the belly) appealed to me. There was something about a country that had such a rich, fascinating culture that I had to see. I had been invited out there with The Park Hotels, a small chain of luxury hotels in India. 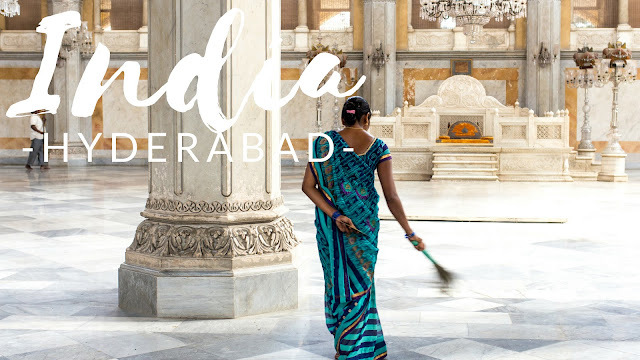 Our journey was to cover three cities; Hyderabad, Delhi and Jaipur, staying at three very different style hotels and exploring three very different style cities. I'll be doing some more written/photography based blog posts soon, but for starters I wanted to introduce you to Hyderabad through my travel vlog, as I really think a country like India deserves to been heard and seen moving. Let me know what you think, and if you like it, why not subscribe for my adventures?